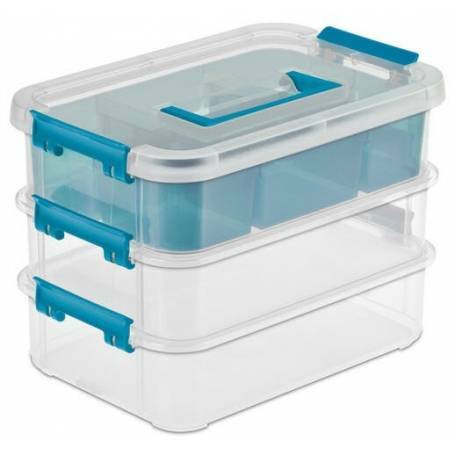 This 3 Layer Handle Box features a removable divider tray. The top box has a sturdy grip handle for easy carrying, while recessed lids offer stacking capabilities. Side latches securely lock layers into place and allow individual layers to be removed easily for quick access.The divider tray is ideal for keeping small items such as makeup, jewelry, sewing or craft items.